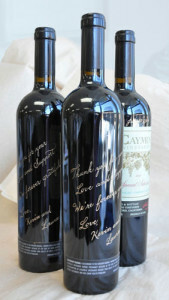 Let your guests enjoy watching the fine art of Hand Engraving during your festivals, wine tastings, or wedding receptions. 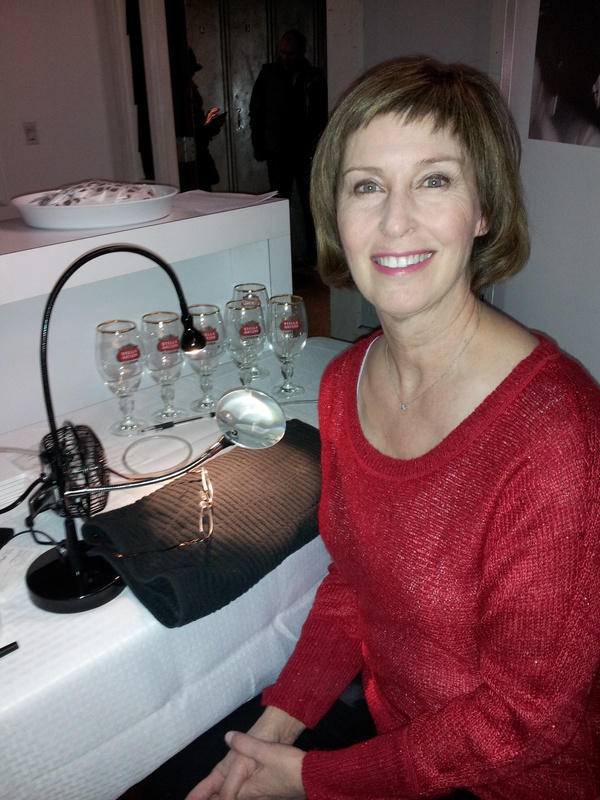 Cathy Grandalski is a creative artist, calligrapher and engraver who enjoys practicing her craft live and on site. Public venues are one of her specialties, with speed and accuracy being the feature of her talent. When guests bring home a personalized souvenir from your event, the result is both a happy memory and a happy customer. Cathy has done engraving for many prestigious clients including Stella Artois, Christian Dior, Nordstrom, Saks Fifth Avenue and Char Crews in Hinsdale, Illinois. If an on-site event is not for you, your product or gift can be shipped to her studio for personalization.